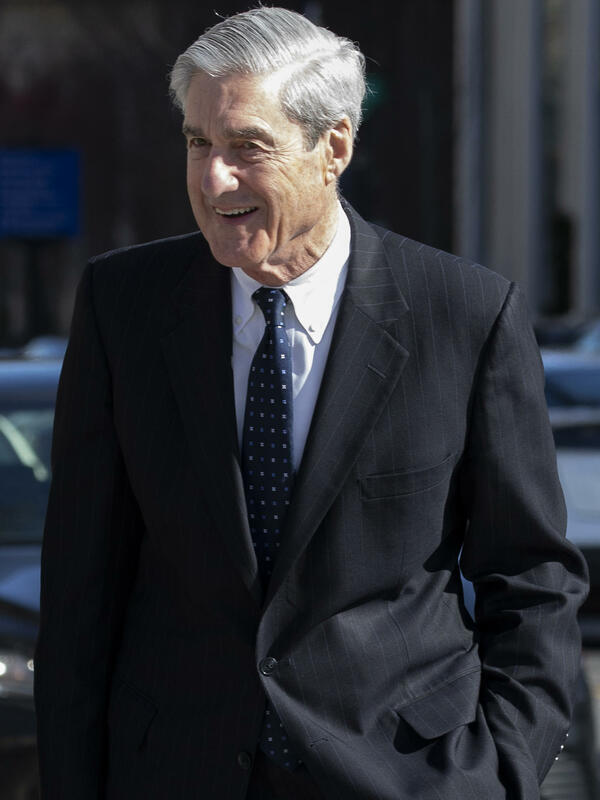 Special counsel Robert Mueller after attending church on March 24, 2019, in Washington, D.C.
At the same time, 56 percent said Mueller conducted a fair investigation, and 51 percent said they were satisfied with it. That included 52 percent of independents who said they were satisfied with the investigation. It's one of the rare questions in the first two years of the Trump presidency in which a majority of independents sided with Republicans instead of Democrats on a subject. The summary "could be somewhat of a blessing in disguise for Democrats," Miringoff said, "because there's no massive pressure saying, 'Look at this report, look at this summary — we have to move forward with impeachment.' "
Overall, three-quarters said the full Mueller report should be made public. That included a majority of Republicans (54 percent). Just 18 percent overall said Barr's summary is enough. President Trump speaks to supporters during a rally Thursday in Grand Rapids, Mich. Almost six in 10 (56 percent) said that questions still exist, with just 36 percent saying Trump is clear of any wrongdoing. That latter figure is close to where Trump's approval rating has been throughout his presidency. In this poll, Trump's approval rating is 42 percent. That's up slightly (but within the margin of error) from January, when it was 39 percent and unchanged from December. But that doesn't mean the public wants Democrats to go far down the collusion or obstruction-of-justice rabbit hole of investigations. On the issue of obstruction, the Mueller report, as summarized by the Barr letter, noted that Mueller did not come to a conclusion on whether charges should be brought against the president. But Mueller said his report did not "exonerate" the president either. Barr and Deputy Attorney General Rod Rosenstein decided against charging the president. 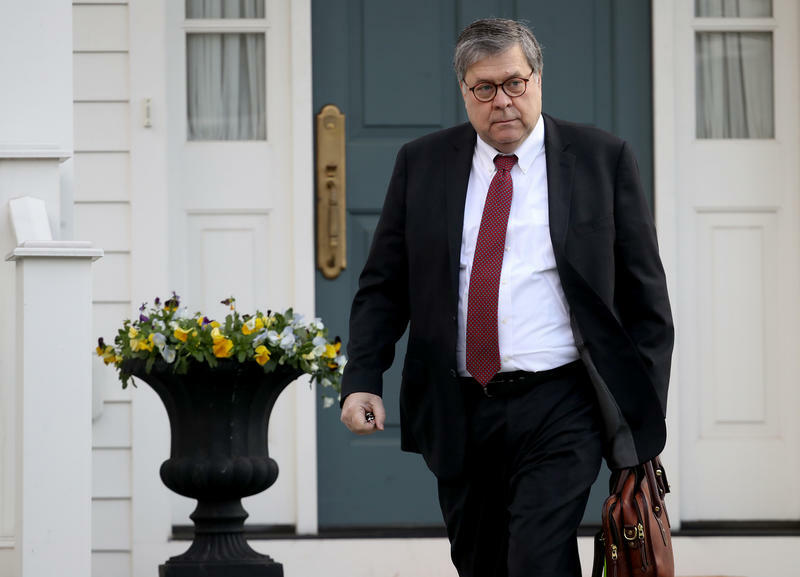 The country was split 48 to 46 percent on whether Barr's decision not to charge the president should stand or if Congress should continue to investigate obstruction of justice by the president. 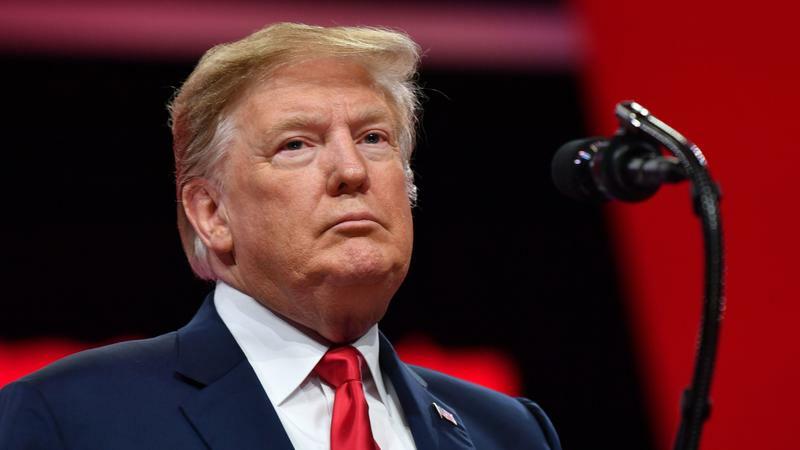 What's more, the country was similarly split, 48 to 45 percent, on whether Democrats should hold hearings to further investigate the Mueller report or end their investigations. "I think they're on safe footing to want the full report released" and to bring in Barr and Mueller, Miringoff said, adding, "But don't start saying there's still collusion, don't go for obstruction of justice, because then they're barking up the wrong tree." That's a big change from December, when Mueller was viewed more negatively (33 percent) than positively (29 percent). That change is largely due to Republicans viewing him far more favorably now, after Barr's letter was released. In December, just 8 percent of Republicans viewed him favorably, while 58 percent viewed him negatively. After the Barr letter, the proportion of Republicans viewing Mueller positively jumped to 32 percent. 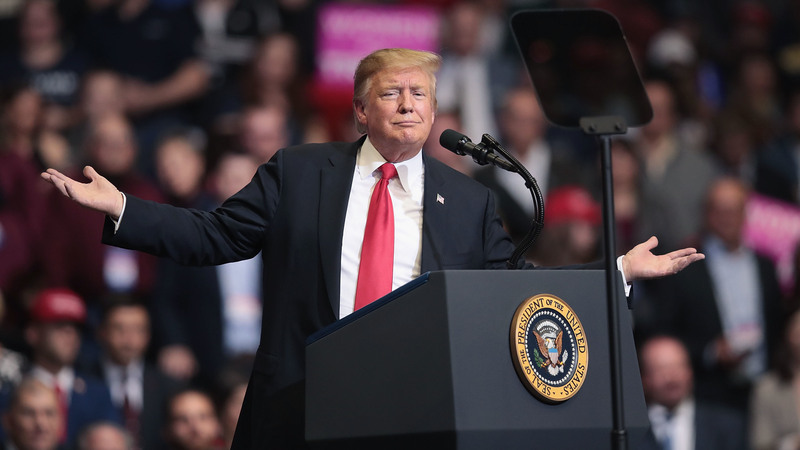 What's more, 54 percent of registered voters said they are definitely voting against him in 2020. That is about where it was in January, when 57 percent of registered said so. And, remember, in the 2016 election, 54 percent of people voted for someone other than Trump. Of Trump's standing and the political climate, Miringoff put it this way: "Despite the two years of attention, focused on Russia and the convictions and all that, it pretty much is exactly where it was." The NPR/PBS NewsHour/Marist poll was conducted March 25 through March 27, surveyed 938 adults and has a margin of error of +/- 3.9 percentage points. There were 834 registered voters surveyed. Where they are referenced, there is a margin of error of +/- 4.1 percentage points.